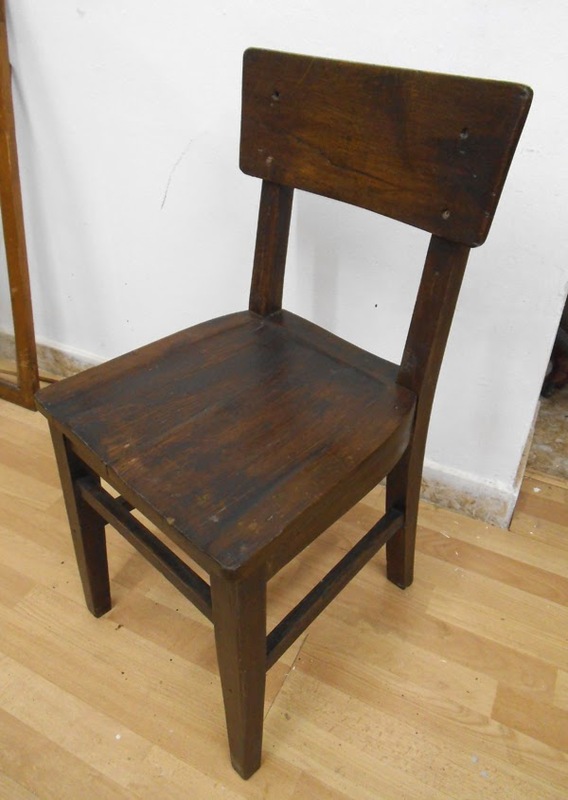 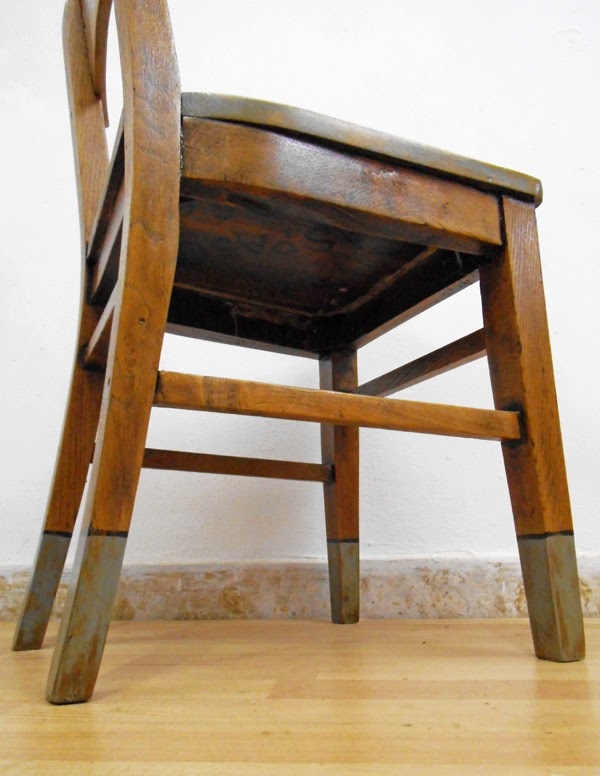 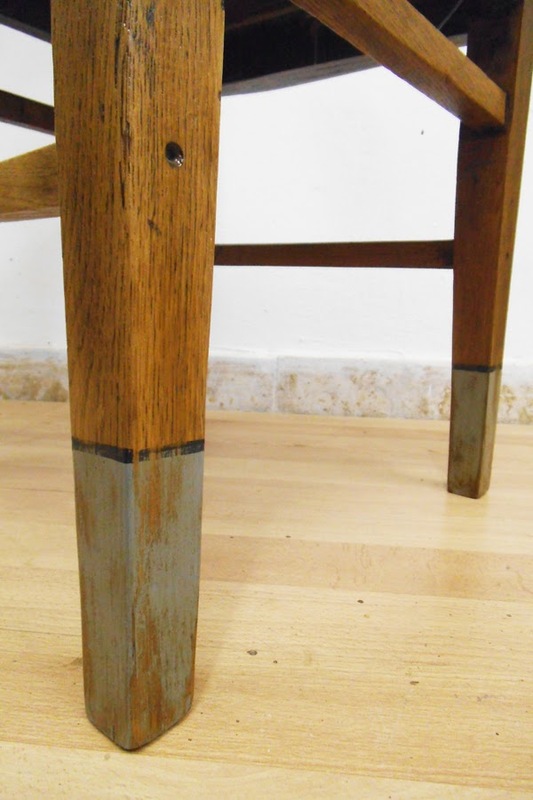 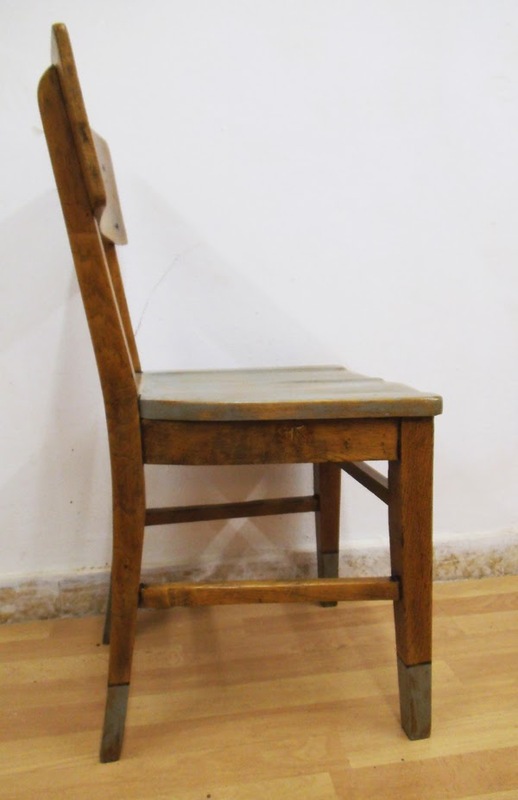 A lovely chair from the beginning of the 20th Century in solid oak, with tapered legs and shaped seat. 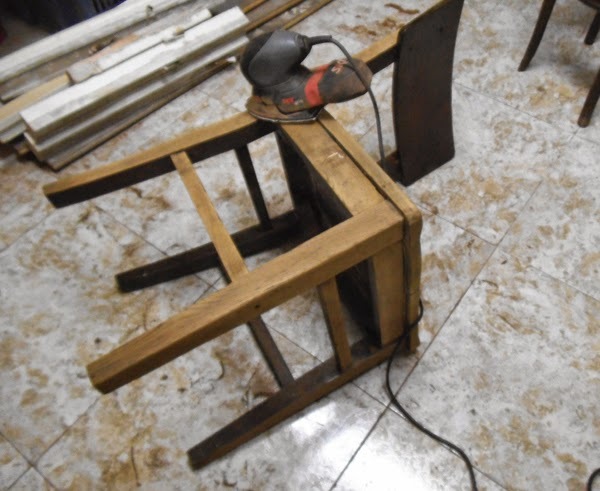 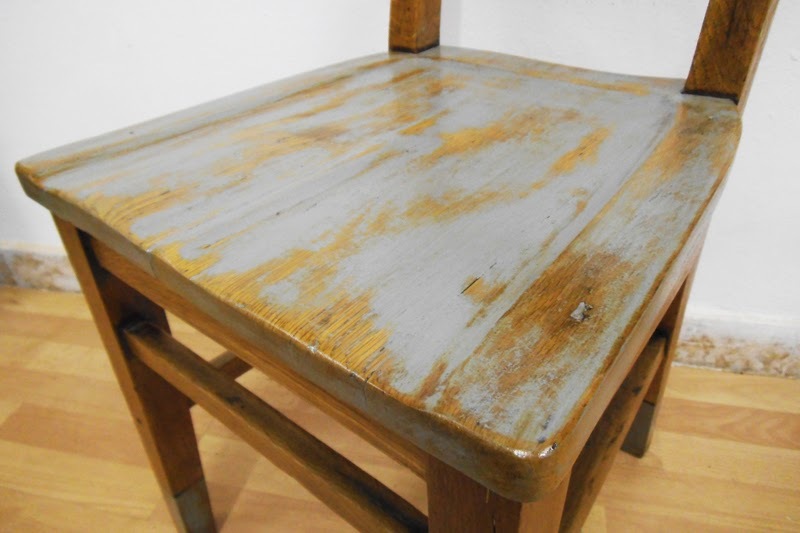 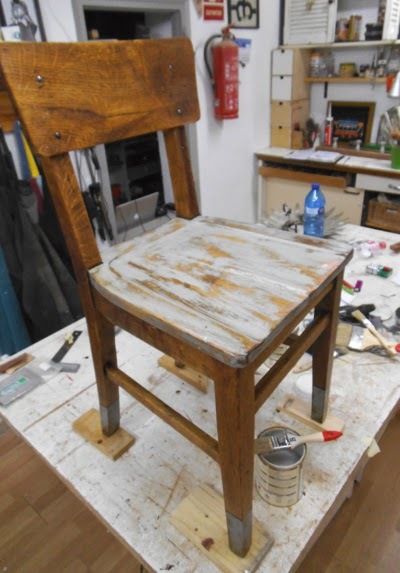 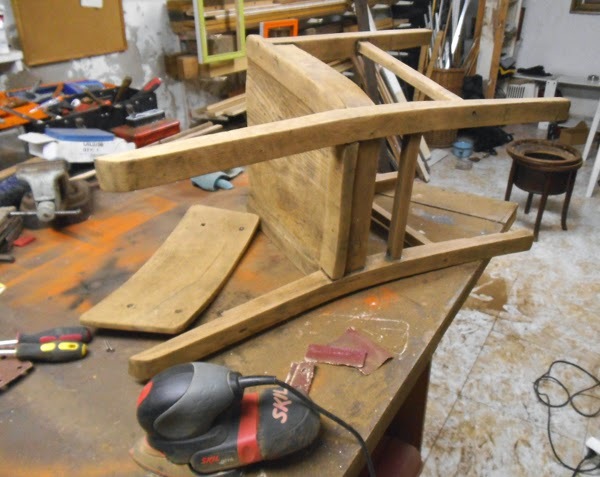 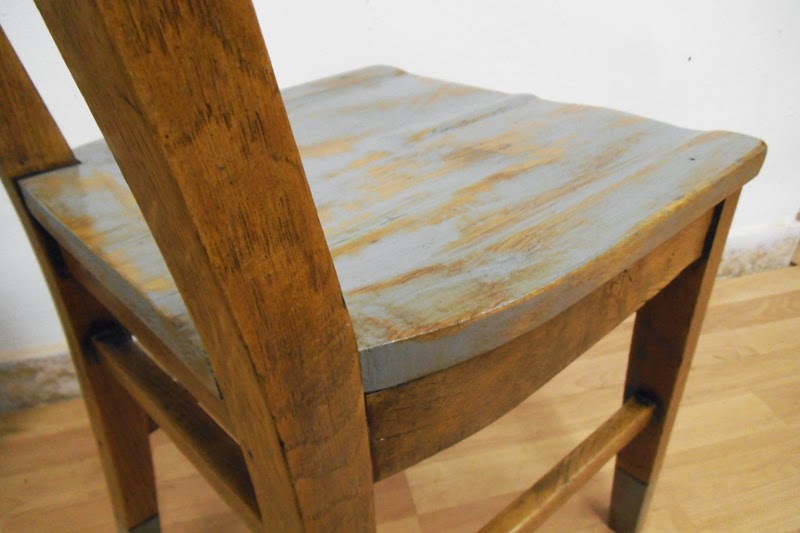 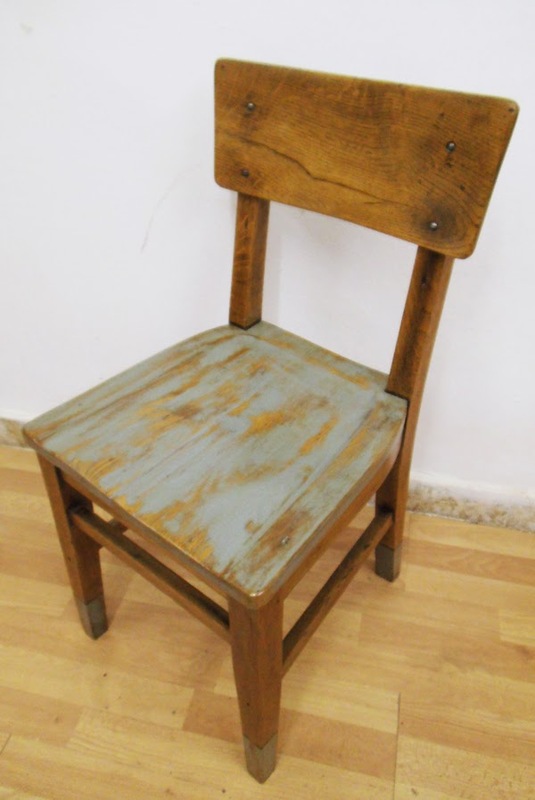 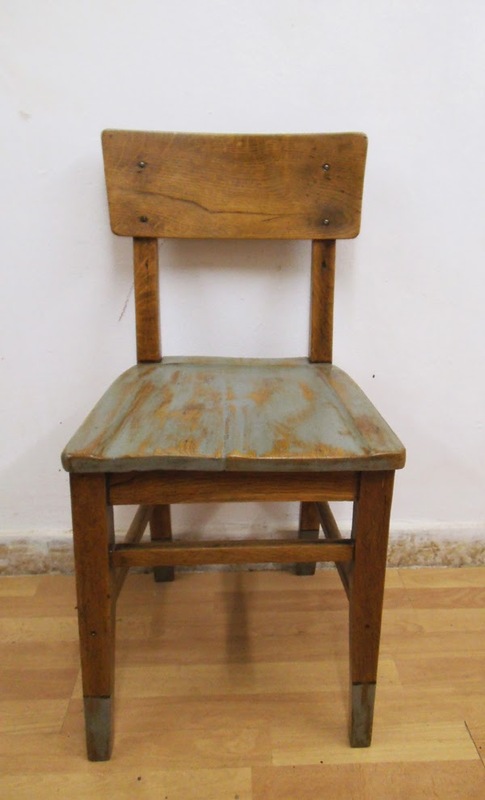 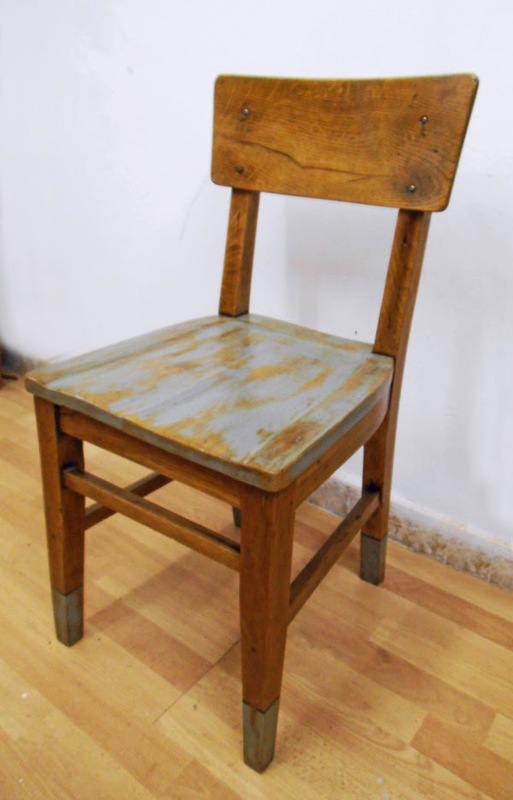 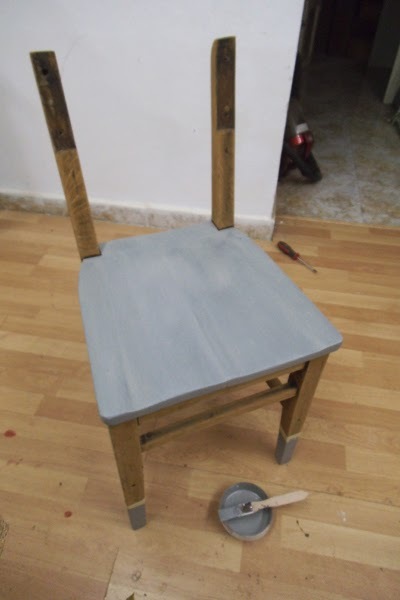 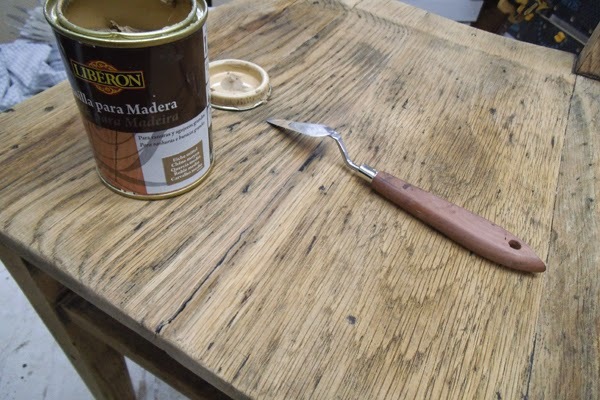 The structure was in mint condition, still incredibly solid, so my work was mainly stripping off the old gloomy varnish, treat and putty a couple of woodworm holes plus repair a crack in the seat. 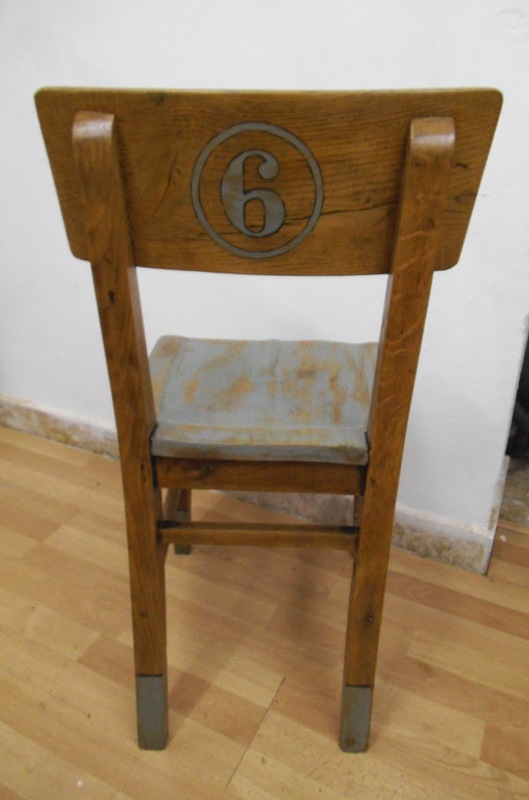 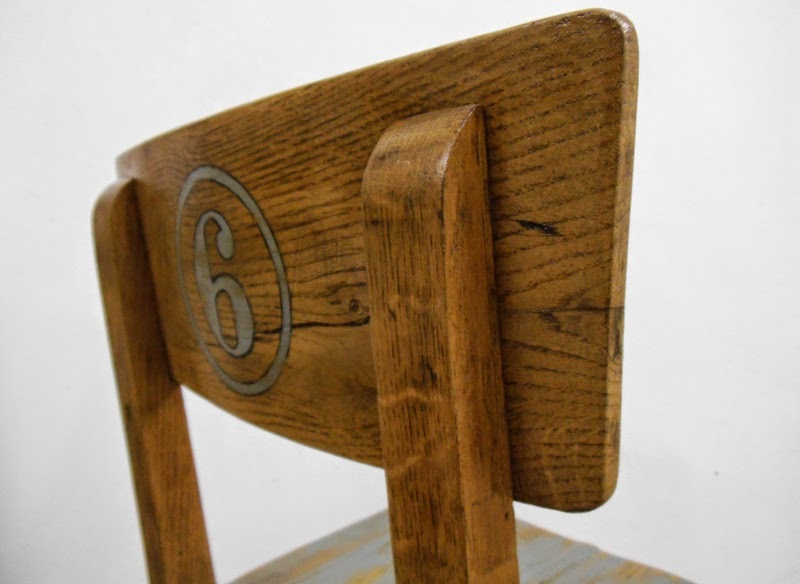 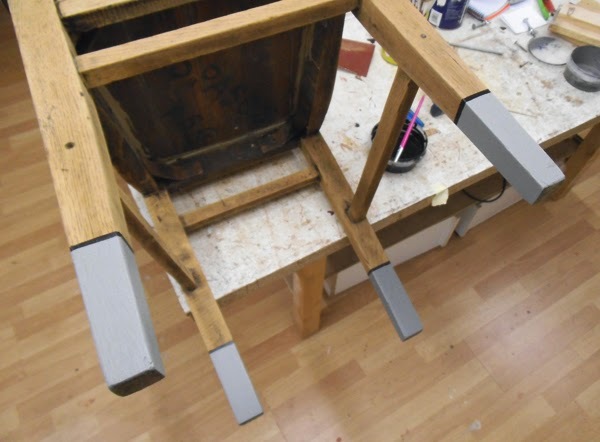 I also painted and distressed the tips of the legs, the seat and a number '6' at he back in light gray with highlights in black, to add some interest and an industrial look. 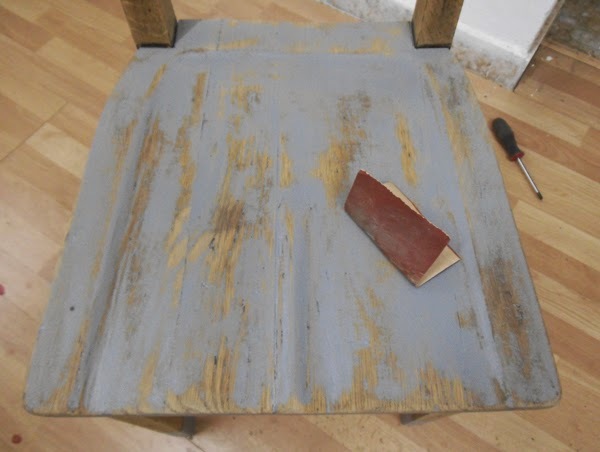 Here on the left, the chair in its original state. 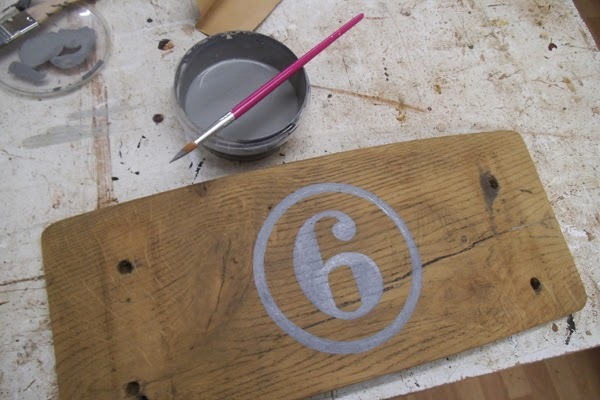 Finally, distressing the painted surfaces, and sealing the whole piece with several coats of clear varnish.